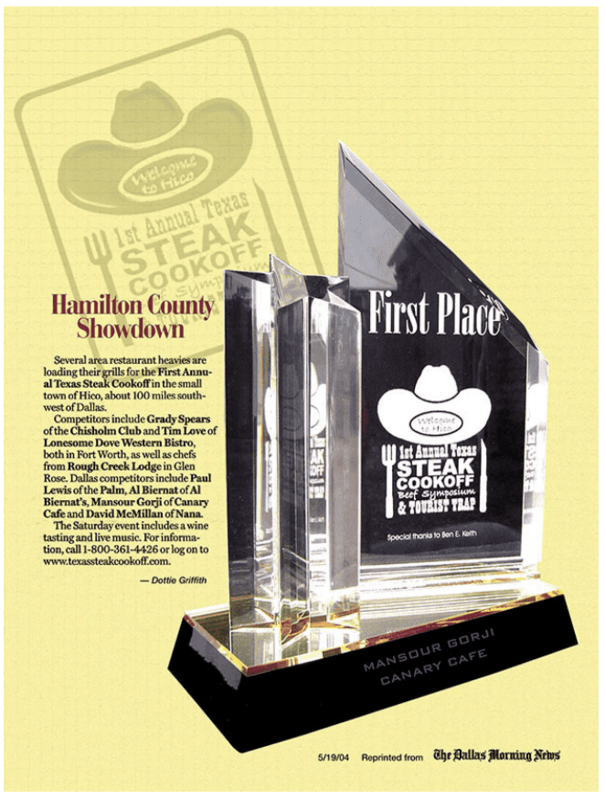 Two years in a row (2004/2005) Chef Gorji won the famed Texas Steak Cook-Off in Hico, TX. 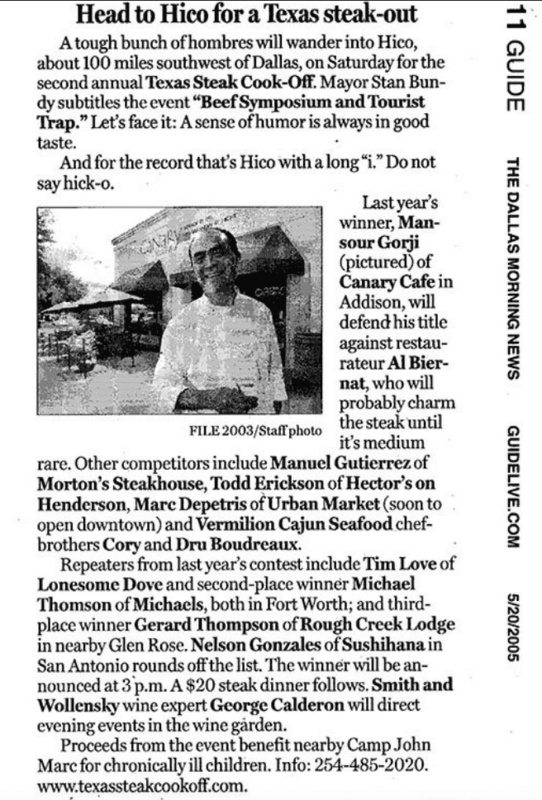 The Texas Steak Champion competed two times against some of the best restaurants and chefs in Texas including The Palm, Morton’s, Rough Creek Lodge, Al Biernat, Grady Spears, David McMillan and Tim Love. No Replies to "Gorji Wins Steak Championship Two Years In Row"